WordPress is one of the most popular content management system (CMS) and the widely used blogging platform in the world. Theme is the most important part of a WordPress blog or website. Theme is a front end component and forms the User Interface (UI) part of your WordPress blog or site. A good and optimized WordPress theme can do wonders for your blog and a bad one can damage it too. Themes must be chosen very carefully as they gives the first impression of your blog to the new users. Nowadays responsive themes are used widely because of their ability to resize their content and width on any device and they do have some SEO advantages too. 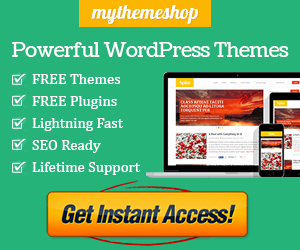 WordPress themes are available as both free and paid / premium versions. A Premium WordPress theme is one that you have to buy it from the developer or theme company and in return you get a feature rich and optimized WordPress theme. Free WordPress themes are good for starters who are new to the blogging world or just want to pursue blogging as a hobby, but for professional and blogging as business, I advise you to get a good premium WordPress theme for the productivity of your blog. 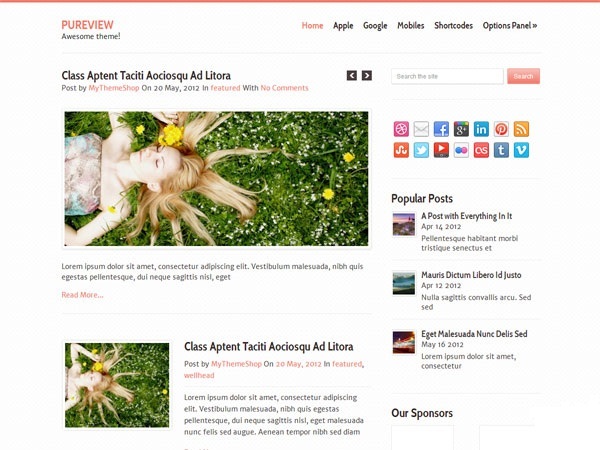 Premium WordPress theme may cost a bit initially but they offer numerous advantages which I will be discussing next. Here are some of the advantages of using premium worpdress themes for your blog or site. Premium Worpress themes offers variety of extra and advanced features like easy ad code integration and placement, in-built seo functionality, featured post sliders, extra useful widgets, logo and favicon integration and support etc. These additional features make your blogging work easier and faster, and you don’t have to perform any coding or programming to add these features which I think is very useful for someone who does not know any coding or programming. Premium WordPress themes generally loads faster and well optimized for SEO as compared to free WordPress themes. Developers of premium themes are continuously involved in making their themes better and faster to increase sales and to stand out in the competitive market. A company that provides premium WordPress themes provides lifetime support for their themes. A premium theme user or customer who is facing any problem with some them functionality or features can ask for help in the premium support theme forum. The developer or experts there can answer and resolve your queries in short amount of time. Almost all premium themes manufacturers releases timely upgrades / updates for their themes. Upgrades are released time to time to keep the theme up to date with the latest WordPress version and also for fixing any bugs that can be encountered in the theme by the users or developers. Where as in free themes upgrades are not released very often and the theme becomes outdated as the time passes on. Premium WordPress themes are also safer to use as compared to free themes. This is because a free theme which may be infected with some virus or malware code. Free themes have high risk of getting infected with viruses and malwares so utmost care should be taken when downloading them. I advise you to download free WordPress themes from the official WordPress website only to be on the safer side.